When you’re looking for a versatile pair of men's cargo pants for workwear or casual wear, you won't go wrong with these Wrangler Riggs Men's Loden 3WCV9LD Ripstop Cargo Pants. They combine the premier Riggs quality you expect, plus more performance features to m ... (see full details) (see specifications) #3WCV9LD. When you’re looking for a versatile pair of men's cargo pants for workwear or casual wear, you won't go wrong with these Wrangler Riggs Men's Loden 3WCV9LD Ripstop Cargo Pants. They combine the premier Riggs quality you expect, plus more performance features to make them a superb workwear choice. Manufactured in a 10-ounce fabric that's a blend of natural 65% cotton and durable 35% polyester, these hardworking work bottoms are made for both comfort and durability. They're built with Wrangler’s Cool Vantage® Technology. Count on them for unrestricted movement and to wick away moisture five times faster to help keep you cool and dry when you're working, playing, or just kicking back and relaxing. The performance just keeps on coming with Ripstop technology, which helps prevent small tears from turning into big rips. Triple-needle stitching, a #5 YKK brass zipper, and 3/4-inch x 2 1/4-inch belt loops add to the sturdy durability. And that's not all. These men's work pants have everything you expect from Riggs Workwear, including the Room2Move® fit, an action gusset, and improved fit in the seat, thigh, knee, and bottom opening. These are cargo pants, so count on having plenty of places to show your gear, including an over-sized watch pocket, 13-inch front scoop pocket (with Wrangler's patented tape measure reinforcement on the right front pocket), side cargo pockets, and back pockets that are reinforced at stress areas. The leg opening fits neatly and easily over your men's work boots, and there’s a kick panel at the bottom of the leg opening. In Loden (army) green, these Ripstop work pants are versatile enough to go with just about anything in your wardrobe. They’re an excellent choice for both work and casual wear. Dependable Wrangler really comes through with these Wrangler Riggs Men's Loden 3WCV9LD Cool Vantage Ripstop Cargo Pants. We have yours at Working Person’s Store. Order a pair today! My son, who works in construction, said in all the years he has worked construction this boot was the BEST he had ever worn. His supervisor could not believe he was going to wear a new pair of boots all day on the first day. He wore them with NO problems at all. He really enjoys the stability the boots give him as he walks across those steel beams. As his mother, I wanted to thank you for making a product that enhances the comfort and work performance of my son. Well done! 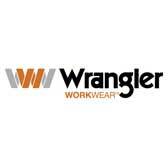 Wrangler Riggs Pants: Men's Loden 3WCV9LD Cool Vantage Ripstop Cargo Pants is being added to your cart.